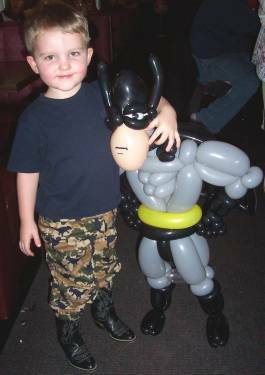 Description: Here is the birthday boy posing with his new buddy. I started with Ken Stillman's superhero design (Thanks Ken!) then just kept adding balloons till I satisfied with the result. Athough it doesn't show in the photo, the Batman parody is wearing a cape made from 160s.